Your workout plan doesn’t need to take up all your time, totally drain your energy, or be complex and confusing to be effective. In fact, you can get strong and fit—while building the body you want—just about anywhere using targeted workouts that fit seamlessly into your schedule and your life. After all, when it comes to upping your overall health, research shows quality is far superior to quantity. 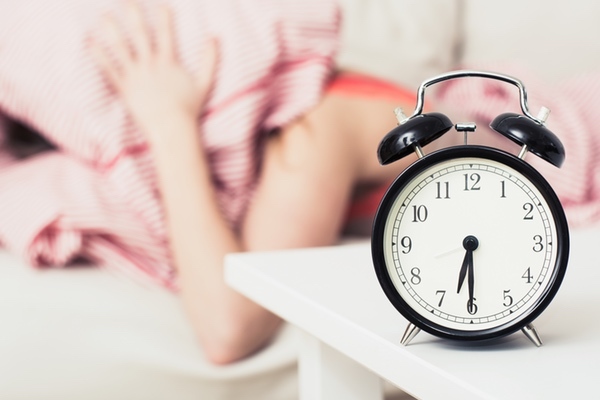 Unfortunately, many people still think they need to force themselves to stick to a strict schedule and put in long hours at the gym to get results. This mentality, combined with the many commitments and curveballs life brings is a recipe for continually falling “off” the wagon due to burnout, loss of motivation, and lack of time. The truth is: Fitness is about doing better, not more. Even though it can seem like a daunting task to undertake, building a framework that actually works is super simple once you have access to the right set of tools. This is where Strong From Home starts to really show its guns. 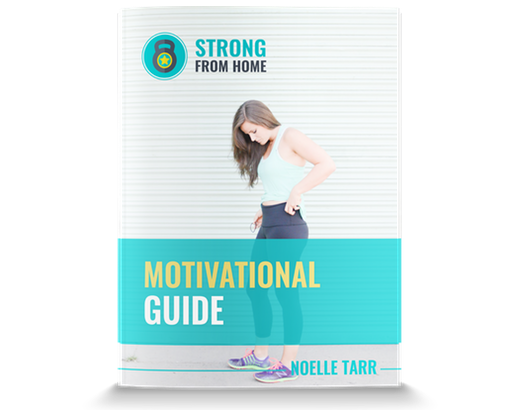 In Strong From Home, you’ll learn exactly what to do and when to do it, according to your goals, abilities, and time constraints. At the end of the day, there’s only one plan: The one that works for you. 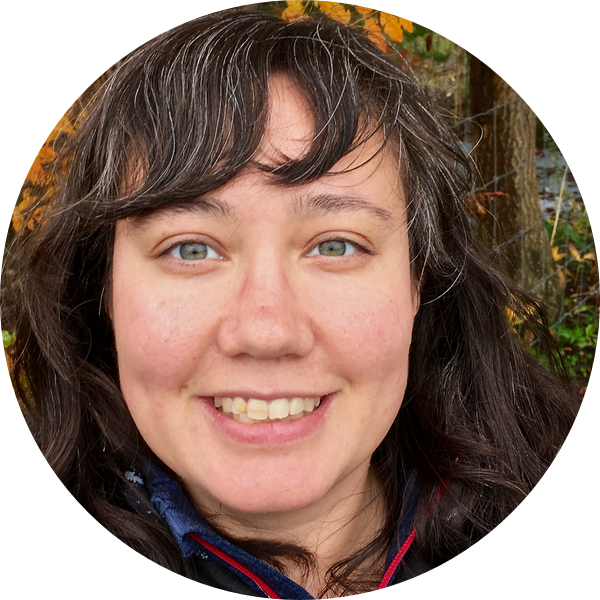 I’m Noelle, and I’ve been in your shoes. 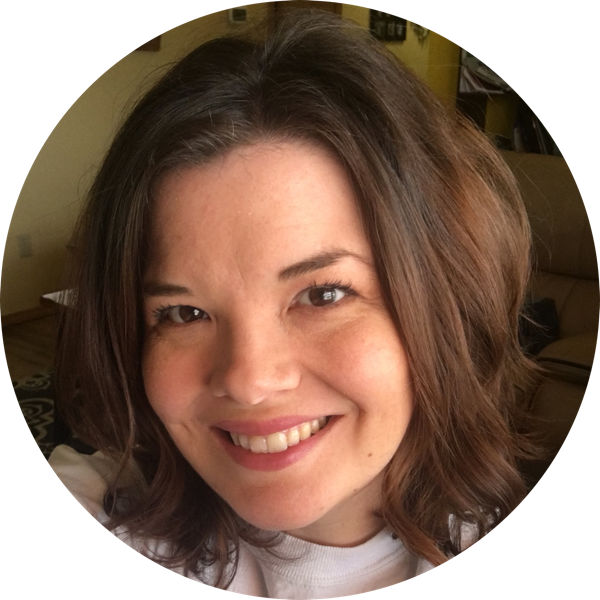 Not having a good grasp on what was best for me and my body, I bounced from one fitness program to the next, hoping to find the “secret” I was missing. I followed programs based on what worked for other people, and felt defeated when I eventually got burned out, injured, or lost motivation. What it came down to is that I was simply chasing after programs that weren’t right for my life or my body. I was sacrificing everything in the name of how I thought I needed to look, who I needed to be, and what I needed to do in order to be successful, instead of being the boss of my own body. When I finally started focusing on quality, and made choices based on what was right for my life and my body—my health and fitness skyrocketed. Fitness became accessible, efficient, and downright fun. I no longer dreaded my workouts or spent hours a day training. And you don’t have to either. Years of implementing this style of training is how Strong From Home came to be. Dynamic, do-anywhere workouts that can be modified to fit your needs, abilities, and time constraints are total game and goal changers. And best of all, they work. It’s no secret: Life can overwhelmingly chaotic and busy in the blink of an eye. Strong From Home shows you exactly how to get the results you want without depleting the energy you need to make it through your never-ending to-do list, or forcing you to spend hours (and hours) in the gym. Being a beginner isn’t a disadvantage—in fact, it’s ideal. You’ll learn easy, go-to guidelines that’ll help you create a program that fits your needs, all while receiving clear instructions on how to properly perform and modify workouts and exercises. It’s all about setting you up for long-term success. No more dreading workouts or forcing yourself to follow programs that just aren’t right for you. Strong From Home teaches you how to create a plan that’s accessible, efficient, and exciting, setting your life up in a way that allows for incomparable consistency. 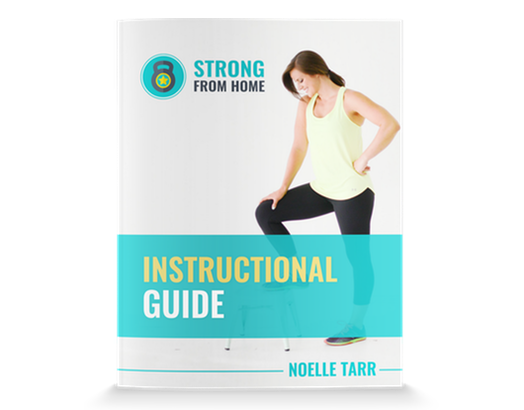 Whether you’re looking to kick your fitness up a notch or simply want to add more flexibility and diversity to the days you train, Strong From Home provides you with everything you need to create a foolproof plan that challenges you and allows you to push yourself within your limits. Because beating yourself up is not the solution. I know what you’re thinking: you’re hesitant to jump into yet another fitness program because other programs you’ve tried haven’t worked out so well. You’re probably frustrated, burned out, and discouraged by lack of results—all of which have led to you abandoning programs, struggling with motivation, and maybe even feeling just a little bit like a failure. The first step in your fitness training? Forgive yourself. Wipe away any guilt or shame that’s been clinging to your brow, and recognize that what you’ve tried in the past didn’t work because it wasn’t right for you. 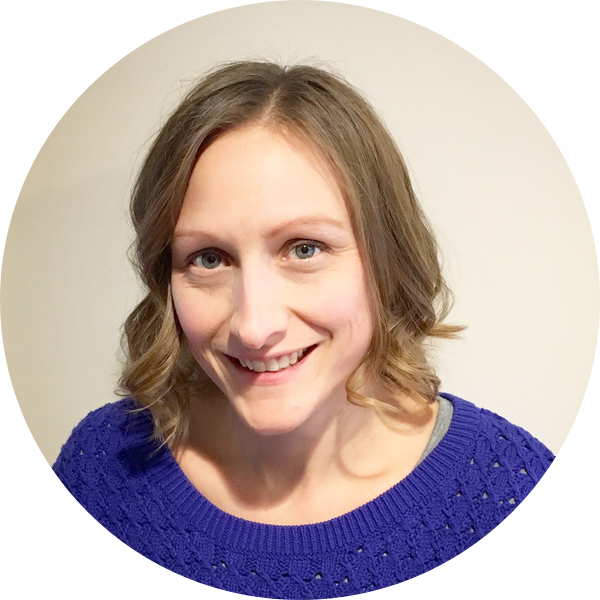 You didn’t have a rock-solid roadmap to show you exactly how to make a new fitness plan fit effortlessly into your life while supporting you in your changing needs and helping you cope with added stressors. 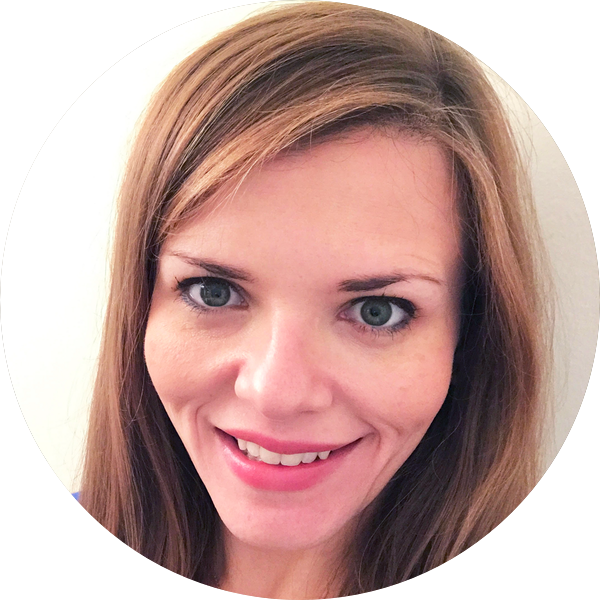 Now, you not only have a roadmap that addresses the what—but also the why, how, when, and when not to. Now the question becomes: Do you? 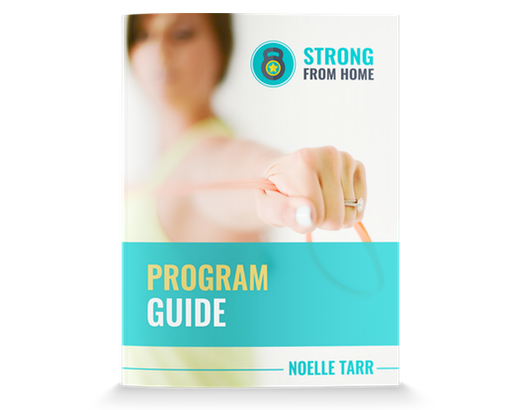 Strong From Home allows me to workout for me, and create a schedule that fits my lifestyle. Maintaining a routine has always been difficult for me. Usually, life gets in the way, I miss a workout and feel completely behind and stressed about it, then I quit the program. Strong From Home gives me the tools I need to be successful, and choose workouts that I’m excited about. It’s opened up a new world of understanding movements and how they translate to increased functionality in my own life. 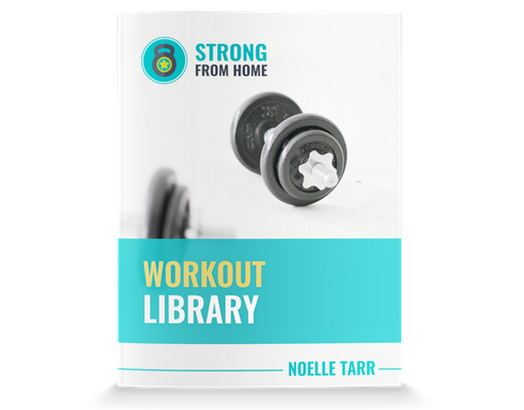 Strong From Home is filled with creative and effective workouts that fit into my busy life. I like to mix up my workouts to keep it interesting but struggle to come up workouts that are varied and balanced, especially since I rarely have more than 30 minutes for a workout. Strong From Home is an amazing resources that can’t be matched. I found improvements in my form for many exercises that I had been doing for years. 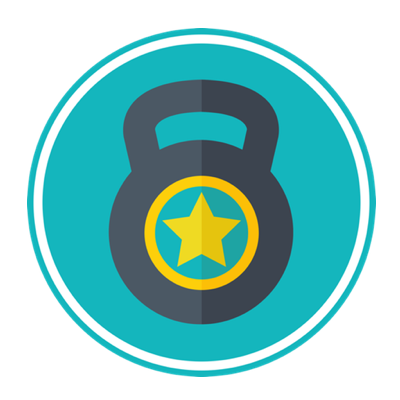 This program has helped me feel more confident and empowered to add new things to my routine. I go to the gym regularly, but struggle with how much time it takes out of my schedule on a regular basis. Strong from Home has showed me how to break out of a rut. The variety of workouts is outstanding, and they are scalable for many different experience levels. I used to think I had to go to the gym for a good workout. Now I can save time and create more balance in my schedule. After having a baby, I really struggled with a workout routine. I wasn’t sure what to do, and I never knew how much time I’d have (nap time roulette!) Strong From Home solved both problems. I can follow the program and the workout without worrying about if I’m doing the right thing or working the right muscles and the workouts are short enough to fit into nap time. Sometimes my son even helps me do the workouts. Strong From Home give me confidence to try new exercises and incorporate them into my routine. Consider this your personal roadmap to getting results you want. The Instructional Guide contains easy-to-follow guidelines to help you build a plan that perfectly fits into your life. You’ll learn what type of workouts to do and when to do them, and which cost-effective tools you need to create a simple, powerful home gym. Like things done-for-you and ready to go? The Program Guide contains four 12-week training plans that are specific to a variety of experience levels, and a tried and true 4-week basic strength template. You’ll also find answers to popular programming questions, like what to do when you miss a workout (or a few), and when to progress to a more advance plan. 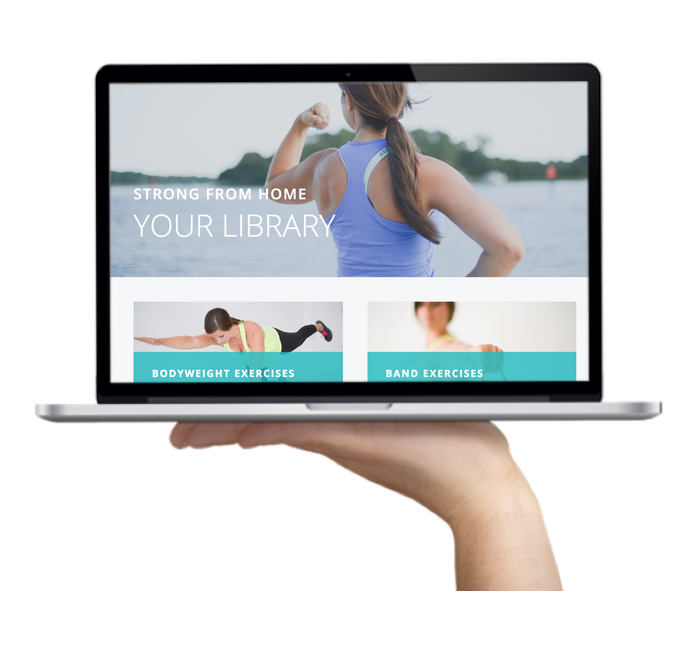 The Workout Library is specifically designed to be easy-to-use and navigate. 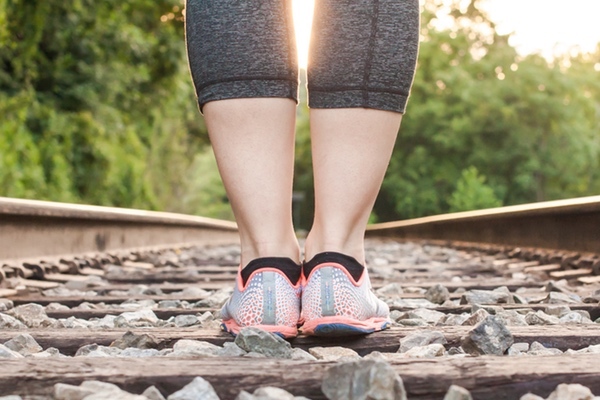 The 125+ do-anywhere style workouts are categorized by time, tools required, and type, making it super simple to find the workouts that fit your needs. All of the workouts are based around the use of four specific tools: your body, kettlebells, dummbells, and resistance bands. The Motivational Guide unpacks one of the biggest challenges people face when pursuing fitness: lack of motivation. In the guide, you’ll learn about the path to consistency (hint: you don’t need “more” willpower), and what’s required to stick with your goals long-term. You’ll find visual, step-by-step examples of how to complete all of the 75+ different exercises listed in the Workout Library so you can quickly reference movements when planning out your workouts. To keep you connected with the Strong From Home community, you’ll get access to a private group exclusive to those following the Strong From Home program. Ask questions, share your goals, and link up with other people who have like-minded ambitions and interests. Tracking your progress is hugely important to achieving your goals long-term. 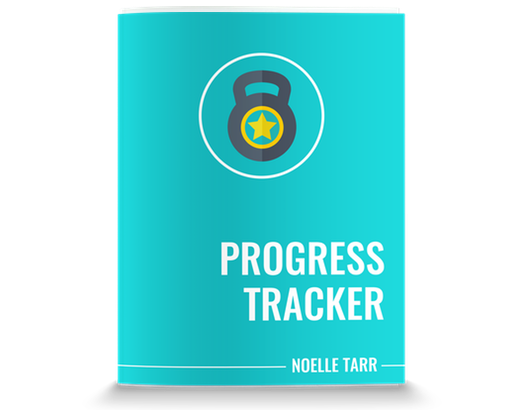 With the Progress Tracker, you’ll have everything you need to track important aspects of each workout as you implement the program, like what weights you used, your time, and how you felt after each workout. The Interactive Video Library is an exclusive members-only site that gives you access to video instructions for how to execute and modify each of the 75+ exercises in the Workout Library. Each video gives you important cues to help you maintain proper form, and touches on what not to do, which is tantamount to injury prevention and longevity. A: Unlike many other one-size-fits-all programs, Strong From Home recognizes that everyone has different goals, abilities, and time constraints. The program shows you exactly how to build a plan that perfectly fits into your life, while also going above and beyond to address common areas of confusion like when to take a rest day, what weights to use, and how to improve motivation and consistency. 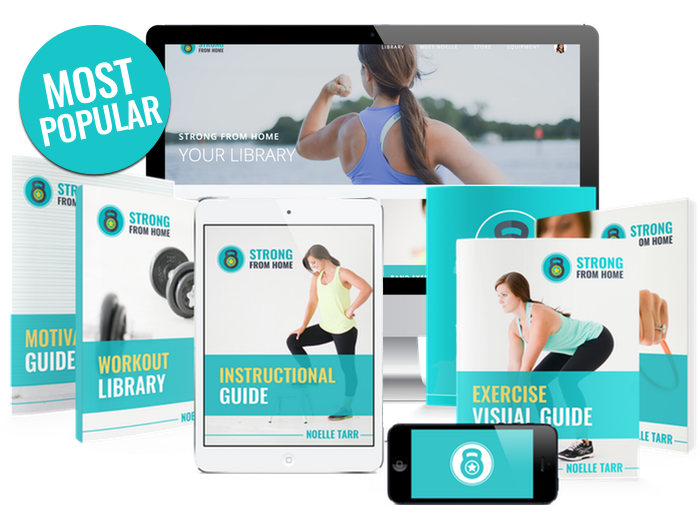 Strong From Home also includes an exclusive membership site (premium package only) that contains step-by-step video tutorials for how to perform each of the 75 exercises listed in the Workout Library. You’ll learn what to do, what not to do, and how to modify each movement if necessary. It takes the guess work out of getting fit. A: Strong From Home is a progressive, modifiable fitness program that can serve as a stand-alone program for improving fitness, or supplement to an existing training plan. While the program gives you everything you need to create a structured, comprehensive fitness plan according to your goals, you can also easily combine Strong From Home with other training endeavors—such as Pilates, barbell training, or hot-dog-contest eating. A: You do not need a gym membership to implement Strong From Home. 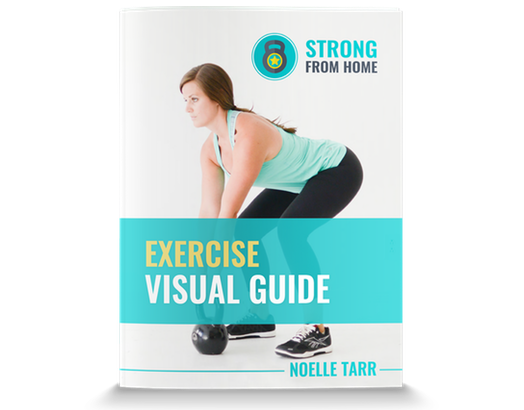 Strong From Home is packed full of do-anywhere style workouts that can be done from home, at the gym, outside, or when traveling. 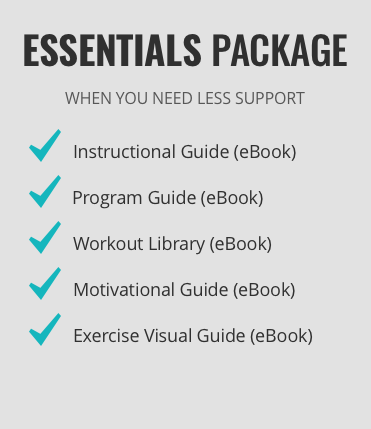 The Workout Library is designed to be incredibly easy to navigate and use. 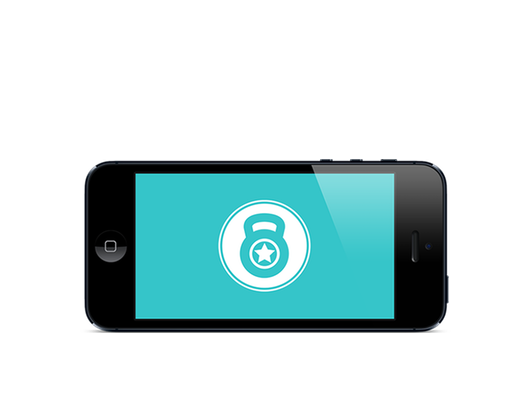 All of the workouts are categorized by type, time, and equipment needed, making it easy to find a workout that fits your needs. A: Strong From Home is based around the use of four tools: your body, kettlebells, dumbbells, and resistance bands. While many of the workouts require absolutely no equipment at all, the program will show you exactly what to get to create a cost-effective home gym in the event you’d like to incorporate all four tools into your training. A: Strong From Home is designed to fit a variety of abilities and experience levels. There are guidelines and plans specifically designed for beginners, and each workout in the Workout Library has modified workout guidelines for those who are new to fitness or just getting back into it after time off. 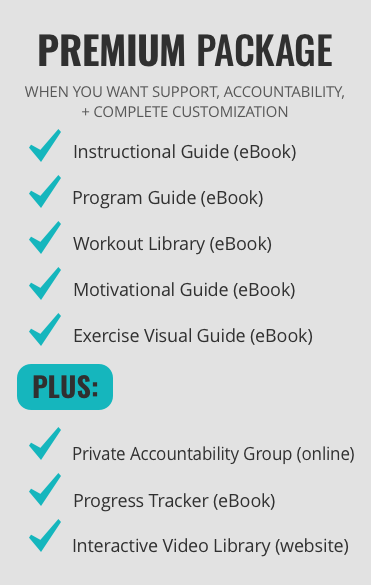 The Interactive Video Library (premier package only) also includes step-by-step instructions for how to execute and modify each of the 75 exercises in the Workout Library. If you are a fitness enthusiast—great news—this program is also perfect for you! There are advanced plans and guidelines, and the workouts are challenging and allow you to push yourself within your capabilities. A: The Interactive Video Library is great for all experience levels. Each video provides clear instruction on how to complete basic to complex movements, and touches on important cues to think about while performing each movement. Each video also includes what not to do, which is incredibly valuable for injury prevention and longevity. A: Absolutely not! 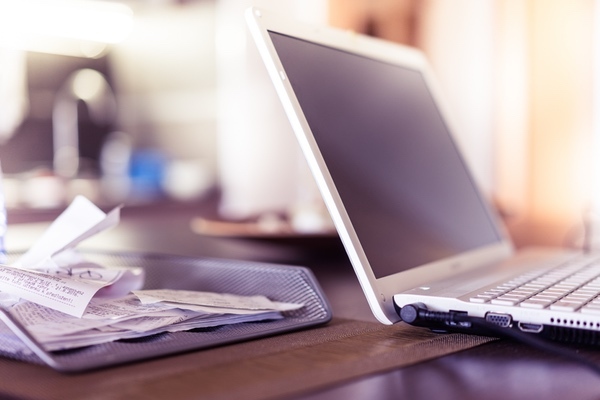 Strong From Home, no matter what package you purchase, is a one-time fee. We are confident Strong From Home will be everything you need (and more!) and stand behind the content and quality of our product. It’s already been a huge success for many people, and we’re so excited to have you as part of the Strong From Home community. Your satisfaction and happiness is paramount to us. 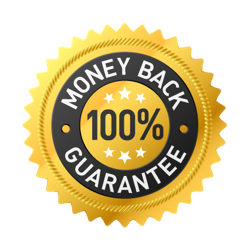 So, if you are not happy with the product or feel you didn’t receive the value promised, we will give you a full refund within 14 days of purchase. That’s right, you’ll have two full weeks to become a raving fan risk free. Legal Disclaimer: Due to recent changes in law from the FTC, it is required that all companies identify what a “typical” result is. The results depicted on this website are actual results of real clients who followed the workouts and principles described in Strong From Home. If you don’t do anything, you can expect no results. If you want results, you should try following Strong From Home as described.